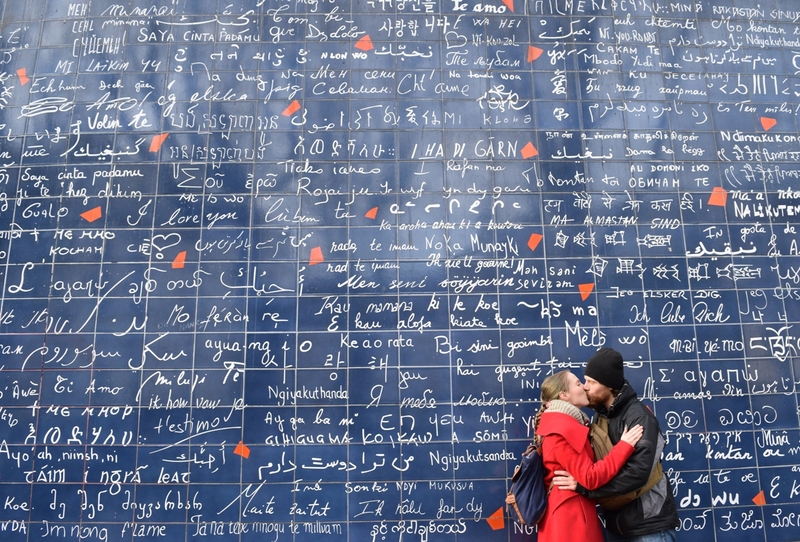 Also known as Le Mur des Je t’aime. Ljubim te, Mina rakastan sinua, Ich liebe dich, S’agapo and hundreds more of I love you versions in almost every known written language can be spotted here. This special place is at the Rictus Square in Monmartre, just across the beautiful church of Saint Jean, and reminds everyone we should always choose love. The building may not be as charming as any other in Paris is, but it certainly offers the best view of Paris skyline. 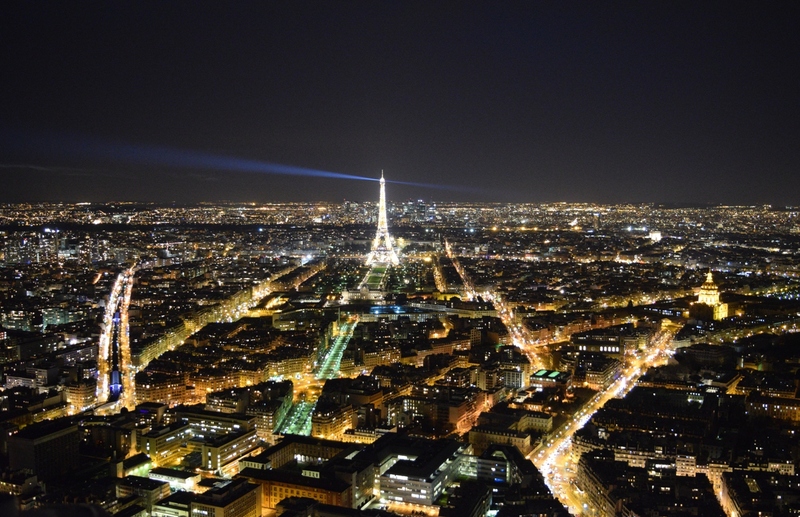 If you want to avoid long queues at Eiffel Tower, consider coming here for the panoramic of the city – including the iconic Eiffel Tower. You can stay as long as you want. We came before the sunset (unfortunately it was too cloudy) and stayed until it got dark to capture the sparkling light show. Yes, that’s the thing. Every year they hold the annual competition, where each baguette is judged blind and marked on five criteria: appearance, crust, the bread inside the crust, the smell and the taste. The winning baker gets to deliver 40 baguettes to the Elysée presidential palace every morning for a year. We tried one at Le Grenier à Pain Abbesses, a bakery that won in 2010 and 2015. Yum! Crusty and chewy. As soon as you walk in, the old school charm of this trendy place greets you with a smile. The clean lines inside invite you to have a look see at an enormous selection of books written in English they have to offer. It’s that kind of a place that makes you want to prepare some tea, sit on a couch and read all day. They have a cool layout that makes it easy to find your favorite book from a wide selection of whatever genre you’re looking for. My favorite part was the upstairs area, where you can sit down and read a book or messages other visitors left. 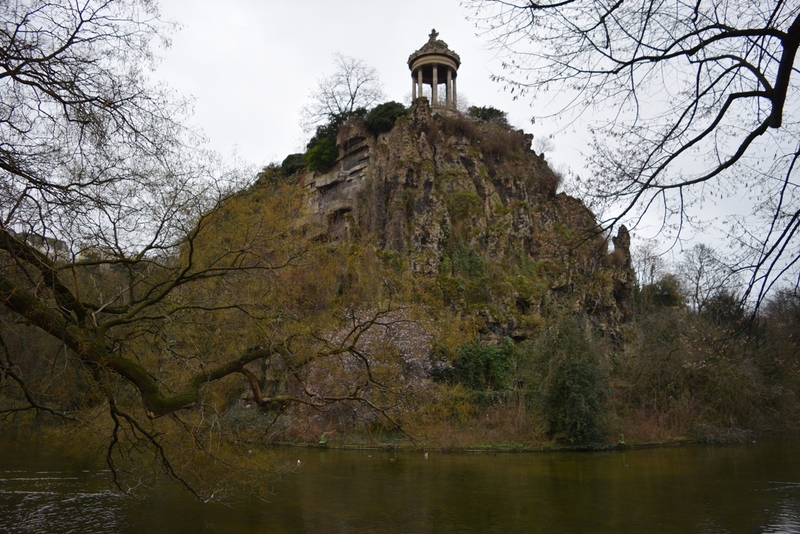 This public park situated in northeastern Paris (19th arrondissement) is absolutely perfect if you wish to unwind from the busy street of Paris. Because it’s a bit out of the very centre, not many tourists have it on their itinerary. I like to think of it as a small local secret. You can even rent boats with oars to paddle around the lake! One of the darkest secrets this beautiful city is hiding. 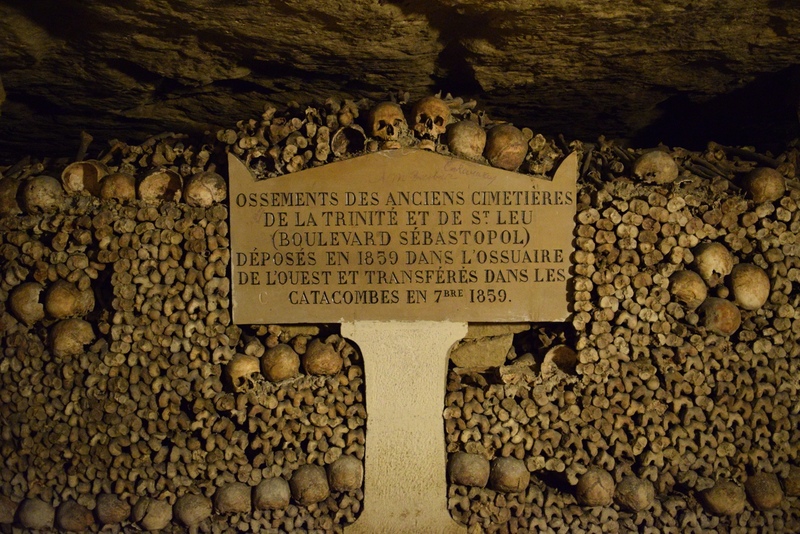 Underground ossuaries hold the remains of about six million people in a small part of the ancient Mines of Paris tunnel network. Yes, it is creepy, but you must go there because it’s also utterly fascinating. … And the award for the cutest street goes to: Rue Crémieux. Expect myriad eye-catching details on facades, attractive doorknockers, bright potted plants and cute colourful houses. 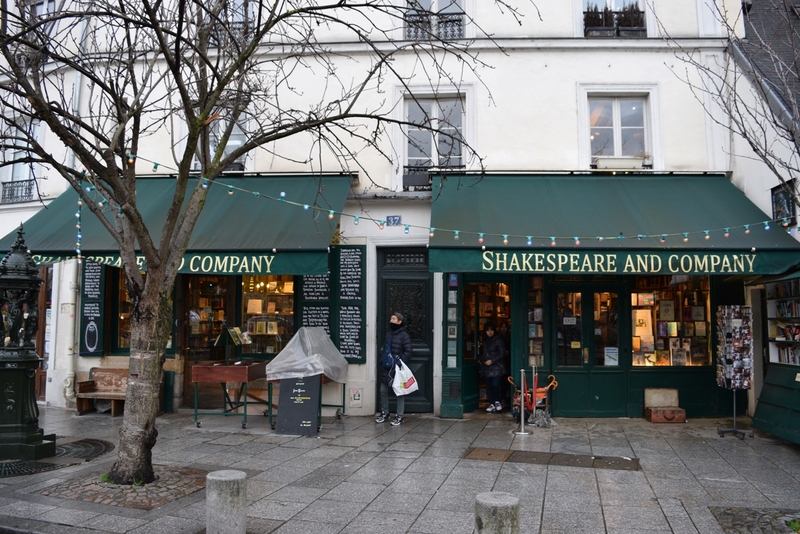 You can stop here on your way to Canal Saint Martin, which is just a short walk away. À chaque fois que je vais voir ma soeur, je peux pas m'empêcher d'aller prendre 1001 photos de la rue crémieux! Elle est tellement belle et paisible!!! On penserai tellement pas qu'elle est à une rue de la gare de lyon! Just recently I was talking NYC’s High Line. 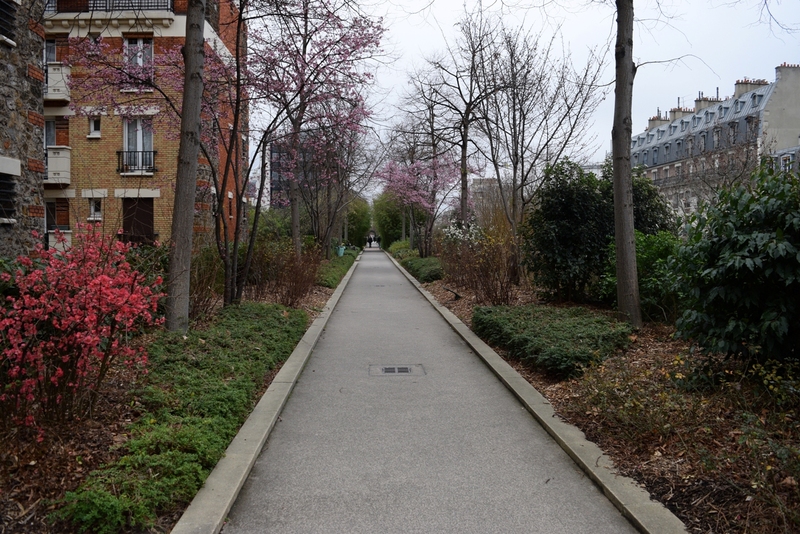 Little known fact is that the original high line elevated parkway, which runs along a former derelict railway line, is in Paris. In fact, it is the first elevated park in the world. We brought our sandwiches with us and enjoyed a simple lunch on one of the benches. Would you believe me if I told that’s how the beginning of February looked like? For more ideas I recommend this list. Did I miss anything? Let me know in a comment below!